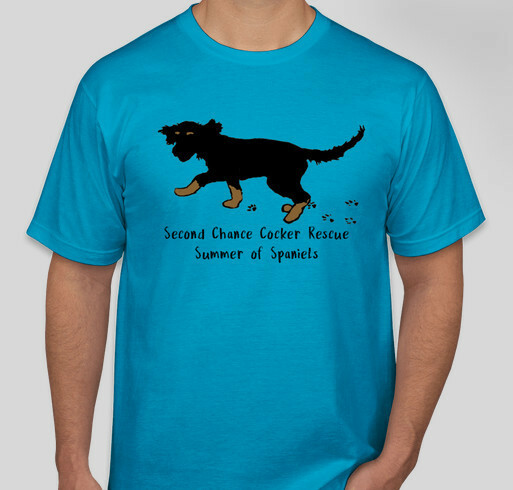 Thank you for supporting Second Chance Cocker Rescue! All proceeds go to support cocker spaniels in need, find forever homes. Every dog, regardless of age or condition, deserves a second chance at a forever love. Didn’t get you run/picnic shirt yet? We’ve got you covered! For one week only June 20-27, our Summer of Spaniels shirts are available again! Get your shirt here before they disappear forever. In honor of our Summer of Spaniels, this collection was created to celebrate our first Fun In The Sun Run and our Rincon Beach Picnic. All of our shirts feature original artwork of a pup who was given a second chance with a little help from Second Chance Cocker Rescue, and these special shirts compliment our Fun In The Sun Run medals. Our pupspiration for this summer’s collections in a sweet little boy named Ozzy. Ozzy loves the beach and he hopes that you will think of him while you play in the sun with your pup. Saving lives one dog at a time! That’s what we do at Second Chance Cocker Rescue and that’s what your visor purchase can help us do more of. 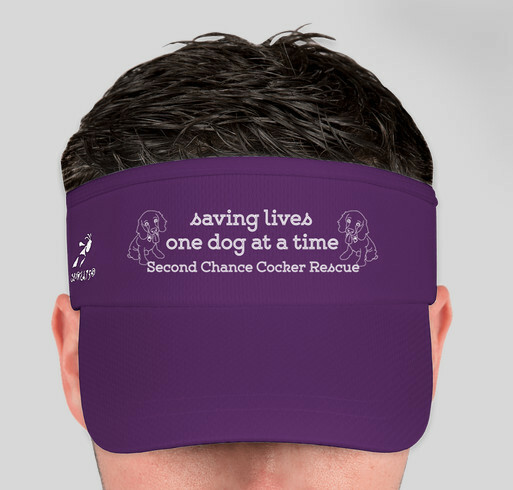 This visor features our motto that we live and rescue by on a comfortable and stylish Headsweats visor. These visors also feature the beautiful Miss Ginny Wagsley. Ginger was our very first SCCR designer shirt pupspiration, and she’s back again to thank all of our SCCR friends for all that you have helped us accomplish.